Find My Workspace lists over 95% of the business centres market in Sunderland. Simply click Request Quote to check pricing for one office, or Add to Basket for multiple offices. This centre comprises a two-storey, self-contained office building. 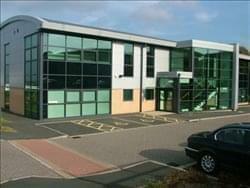 The offices benefit fro on-site parking, 24-hour access, entry phone system, comfort cooling and lift. Finished to a high standard the building provides predominantly open plan offices although there are a number of smaller offices which have been created using high quality demountable partitioning. 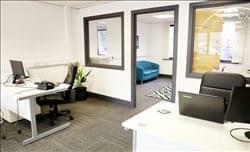 A bustling business community that offers a range of work spaces to suit all needs, this centre is the perfect location for well-established, expanding and start-up businesses alike. The office space available varies from 150 sq ft to 3000 sq ft. Light industrial space ranges from 500 sq ft to 6000 sq ft. The on-site management team offer administrative support, reception facilities and mail handling. There is an on-site nursery which offers parents excellent childcare facilities. The on-site café and lounge spaces are great for those all-important work breaks. The site boasts ample secure car parking as well as bike racks and showers for those who prefer to commute to work via bike. All tenants receive discount on meeting and conference facilities on-site. To obtain information for your selected Tyne and Wear Business Centres, please tick the "Add to basket" box for each office you prefer and complete the form below. We will then send a detailed report via email.